Dive In and listent to my first podcast interview! 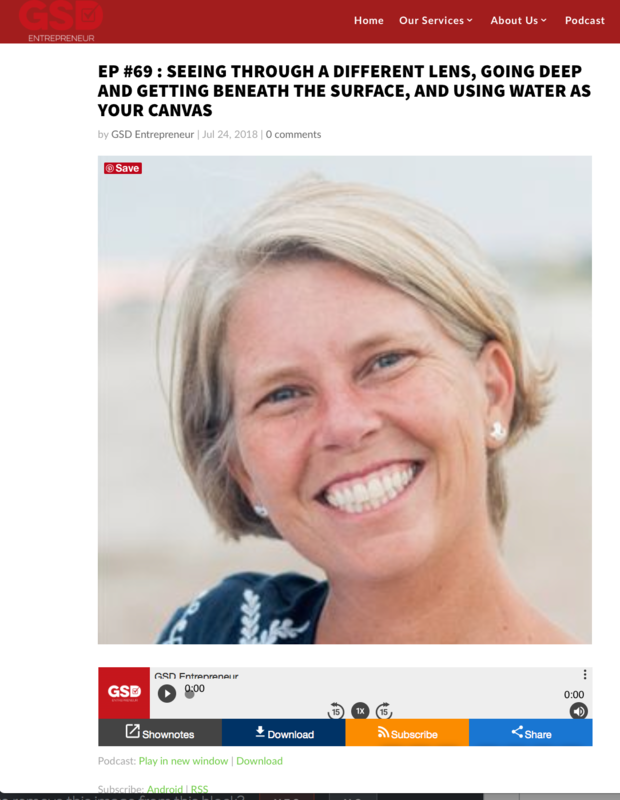 I was defnitely newvous, but absolutely loved talking with Julie and Stacey of A Salty Rim for their GSD Entrepreneur Podcast! "Leigh Webber is just an interesting human with a fascinating company. She sees the majority of life through her lens, literally, and turns photography into true works of art. She founded a business called Dive In by Leigh Webber, where she’s focused on capturing the beautiful moments of life underwater. Her career in photography started by becoming known as the wedding photographer in Charleston, and she’s now expanded her horizons to become known as the underwater photographer in Charleston and beyond. She’s shot BURU, Carve, products, and families on vacation and models while in the Caribbean, to name just a few highlights. Leigh works hard every day to marry happy moments with the psychology of that moment as she captures images that are breathtaking and conversation starters."